Please have a look at the DVDs we have available, if you are an UNCENSORED customer click HERE for exclusive special prices. Remember to have your magazine handy for the password! Dr. Thomas Levy is an amazing guy, both a Doctor and a Lawyer it was truly thrilling to hear him speak about the decades of suppression that Vitamin C has had from the mainstream medical establishment. 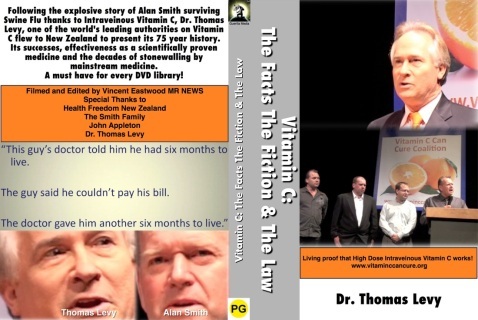 Alan Smith, a farmer suffering from a horrible Swine Flu infection managed to survive the disease after receiving High Dose Intravenous Vitamin C (HDIVC) despite Doctors claiming there was "no evidence" of its safety or effectiveness. This DVD is a real eye opener packed full of interesting information that could very well save your life some day! We live in a toxic environment, illness, cancer, chronic disease and for some reason no one seems to know why. 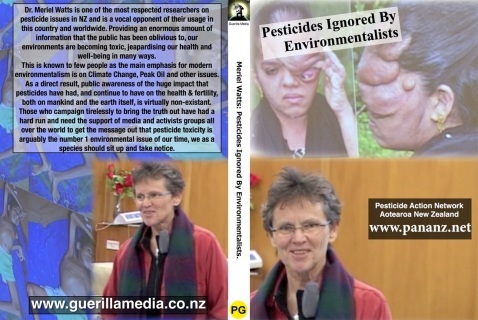 Dr. Meriel Watts presents some incredible bombshells about what is really happening to our environment due to dangerous chemical pesticides and explains why the issue has been dropped from sight in the mainstream environmental movements. What you don't know might be killing you. Sourced from the phosphate fertilizer industry, water Fluoridation comes from dubious roots, backed with bad science and bad politics alike, it has become a surprisingly hard battle to get it out of the water supplies of major western nations. 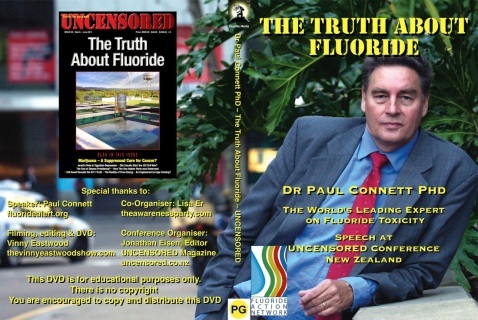 This contains incredible information about fluoridation, its beginnings, the flawed science and the scientific evidence that proves it to be a poisonous medicine that should have never been put in the drinking glasses of the unsuspecting public. From a lowering of IQ to increased risk of arthritis and cancers this DVD makes it abundantly clear just who has the science on their side. A great backgrounder on the medical mafia campaign to push toxic vaccines on the public to deliberately provoke a pandemic. 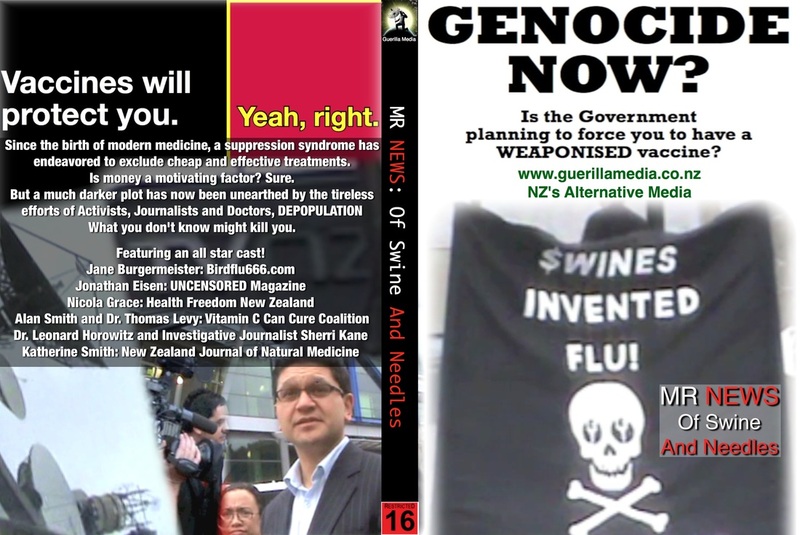 Following the Swine Flu outbreak information began to emerge that the virus was man made and released deliberately in order to both reduce the population and profit while doing so. A scary and in depth look into the secret realms of medicine packed full of information from and all star cast! Climate Change, Global Warming, Global Cooling, Abrupt Climate Shift, what do all these terms have in common? They have been happening for the last 4 billion years, but only now has man become the target to blame for this. 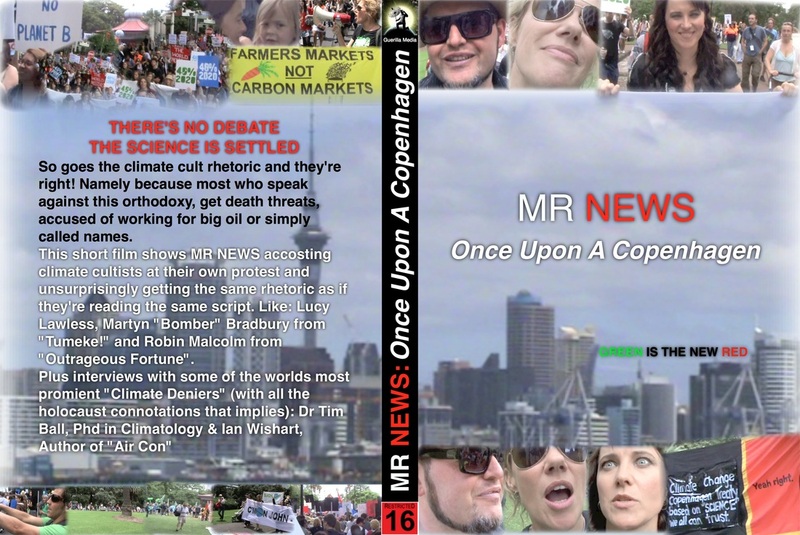 MR NEWS investigates the climate change argument and confronts its promoters at their own protest, catching them out lying and demonizing anyone who questions the all powerful climate dogma. The true agenda behind this scam will either anger or frighten you, taxation and total control of all human activity, world government and population reduction. Supported by bad science and a horde of communist climate cultists this is one agenda to watch for sure! 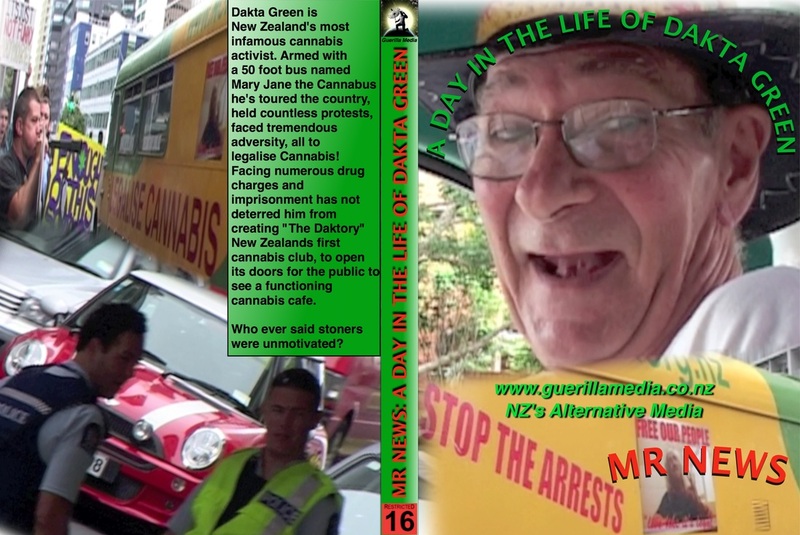 New Zealand's most infamous cannabis activist and all round good guy Dakta Green, fighting for law reform and making more headlines in the past few years than the last few decades of activism. Creator of the controversial club rooms "The Daktory", New Zealand's first cannabis club, Green has made an impact that reaches far and wide. Facing endless charges and court cases MR NEWS joins him on a "Cannabus" ride in the campaign bus "Mary Jane" during a typical day of protest. One has to wonder, why have lies about Cannabis lasted so long? What kind of a strain does criminalization place on the community that tries to change it? An insight into law reform from the front lines. A police state, genocide and racism, no we're not talking about NAZI Germany, we're talking about the Zionist state of Israel. The Suffering of the Palestinians, the murder of Turkish activists and an Israeli tennis player Shahar Peer all feature in this explosive film that will put straight this controversial nation state and its ideology. 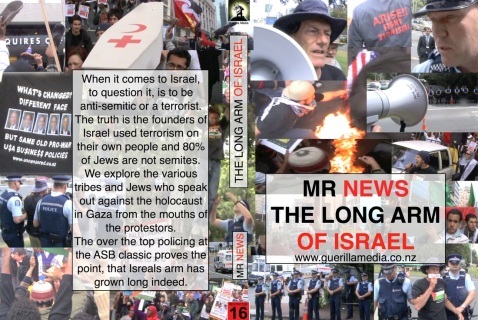 We define antisemitism, the many diverse tribes of Jews and how terrorism and deals with NAZI Germany were involved in the set up of the state. We also explore Israels reach into the rest of the world as activists who protest against its racist policies using whistles and megaphones are dragged away by police in clear violation of freedom of speech.